It is important to ensure the correct enzymatic digestion in terms of remnant enzymatic activity that might exist in the final implant of SVF. Lyposmol demonstrates the correct enzymatic neutralization in the Lyposmol ADSC System® process, both by its own technical department and by contracting independent laboratories, but it includes a unique safety system in the market. EKC (Enzymatic Kit Control) is an exclusive product (patent pending) designed to offer the maximum biosafety in the market of the Regenerative Medicine in Immediate Therapy, presented to the different official organisms to guarantee the safety to the patient in the Processes of Translational Medicine. This product is born of the pharmaceutical environment, so that biosecurity, which is not only a necessity that the drug agencies require, is one of the fundamental objectives that our company has. 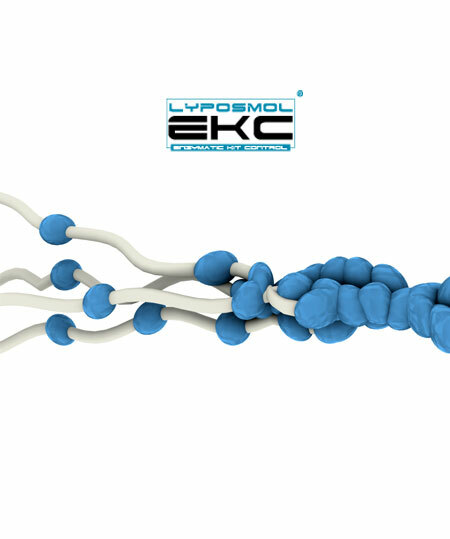 The objective of the EKC® product is to check a situation of absence of enzymatic activity in each Lyposmol ADSC process and before the SVF implant. In this way, Lyposmol has positioned its system as the one with the maximum biosecurity of the market. 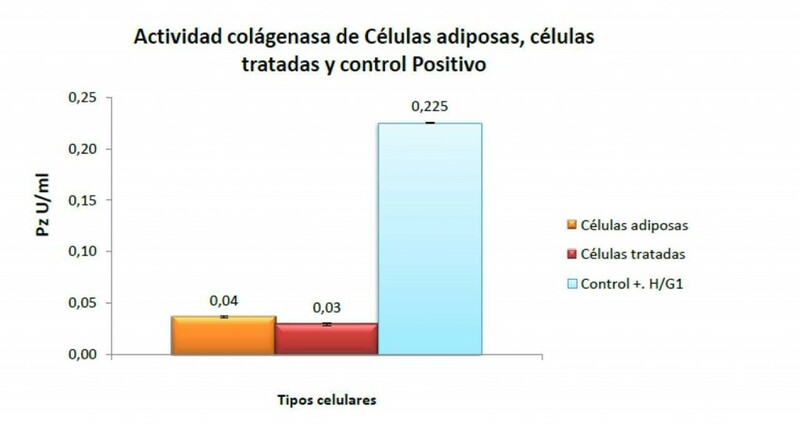 Once the digestion of the enzyme reagent has been performed and the stromal cells have been released, it is essential to neutralize the remaining enzymatic activity before implantation. 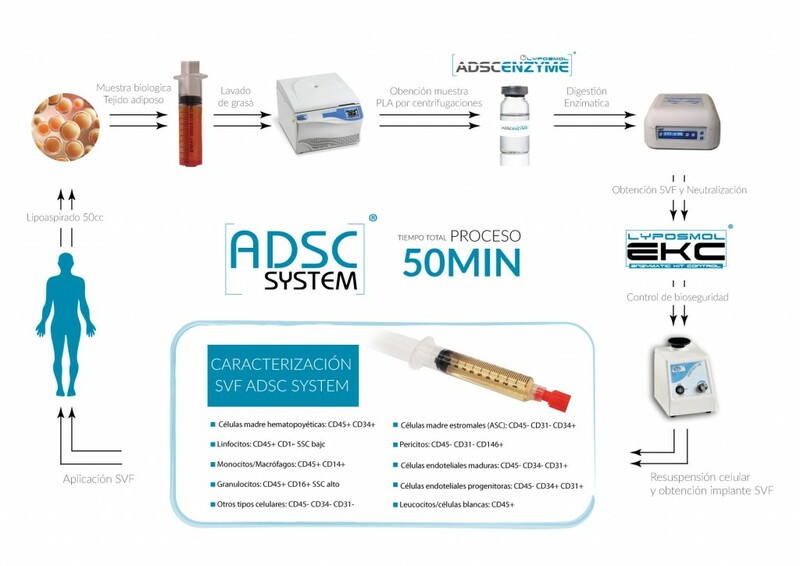 The studies demonstrate a total neutralization of the Lyposmol ADSC System® process, However, Lyposmol incorporates the EKC system to check the absence of enzymatic activity before each implant and then offering the maximum biosecurity for the doctor, patient and market. EKC® is a patented development including several enzymatic reagents; our goal is to provide biotechnological solutions in the market of Regenerative Medicine offering the maximum biosafety in our products. We believe that safety is of the utmost importance in the biomedicine sector, with research being under the strictest scientific rigor one of our maxims.